We are happy to welcome you to our run-family hotel, opened in 1945 by our grandfather, Walter Stoller. Today, in the third generation, the hospitality is still lived with passion. 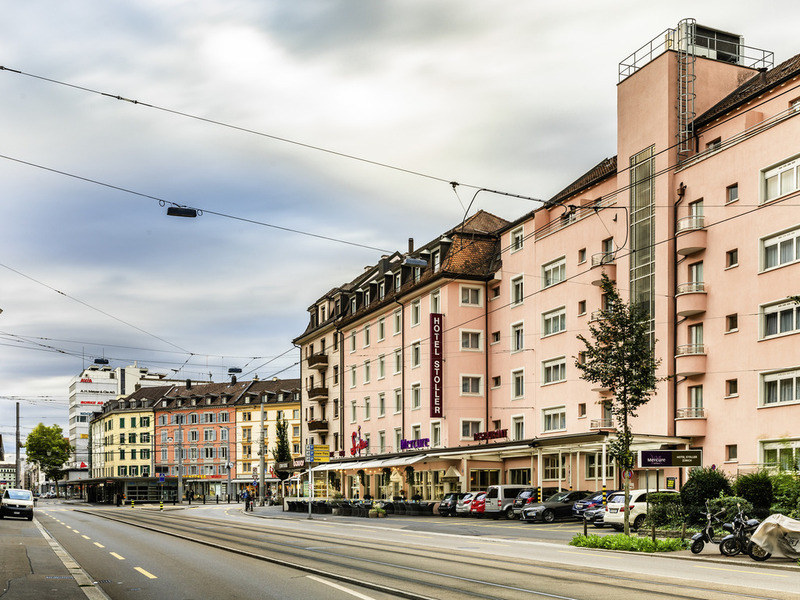 The Mercure Hotel Stoller Zürich is a 4-star franchise hotel with 80 rooms and is non-smoking throughout. It offers a restaurant, bar and terrace and free WIFI is available in all areas of the hotel. All rooms feature air conditioning, a minibar and an espresso/tea machine. The hotel is west of Zurich and easy to reach by public transport. It is just a few minutes from the main train station and a mere 25 minutes from the airport. All hotel rooms are equipped with great attention and love to detail. The rooms are equipped with Sofitel My Bed Classic, minibar and an own coffeemachine. An air conditioner cools you off on warm summer days. After a day of touring and walking, our restaurant has the perfect atmosphere to linger over a specialty cocktail created by Daniela, or to discover one of our wines which has been carefully selected by our Somelière.